I offer you a safe, comfortable therapeutic relationship . Whatever you bring to our sessions is workable. Unwind from trauma and anxiety and cultivate freedom, self acceptance and the deep transformation that good therapy can offer. Ever since I was a child i have had a passion and curiosity for understanding people and what makes us tick ! My own challenges, good therapy and healing modalities have helped me heal and grow over the years. I am a believer in good therapy. Buddhist Philosophy and the ancient wisdom traditions, Person Centred Approaches, Secure Attachment, the art of meditation, Emotion Focused approaches, Crazy Wisdom. The Mind Body connection and how identity is formed and passed on and transformed. Parenting issues are a passion. Persistent pain, anxiety and its cousins.. and mysterious body ailments. It starts early on : as soon as someone notices a difference, something has changed. And treatment is partially about learning to notice what you are feeling, sensing and thinking. Therapy has helped me grow in patience, insight and courage and willingness to connect with a broad range of people. I love the satisfaction of seeing and hearing change; watching people feel freedom and develop their wings. Naturally ! I have the same travails and challenges that beset a number of us, trying to figure out what makes us human and humane and on this journey of aiming to live as sanely as possible. Everyday there is a surprise. Our lack of self compassion, self acceptance and too much focus on self esteem. This has in turn affected our capacity to connect to others, give and receive love . Empathic, warm, practical and passionate about my work, I will meet you where you are in this perhaps difficult moment, curious about what makes you" tick" so as to move forward. 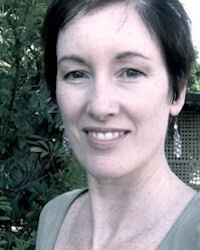 I specialise in treating trauma, anxiety, chronic pain, stress.